TCL 55R615 vs 55S515 Similarities & Differences : Why TCL 55R615 is a Better Choice for You? 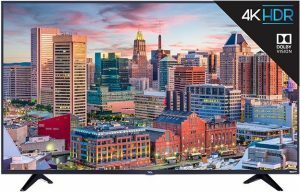 We should mention TCL 55R615 and TCL 55S515 as two options that we should consider if we are looking for affordable 55-Inch 4K UHD TV that support HDR10 and Dolby Vision. They are both introduced by TCL as part of their 2018 TV lineup. TCL 55R615 is positioned higher than TCL 55S515 while it’s also offered at the higher price. Why TCL 55R615 is a better choice for you? To answer that question, we need to know more about similarities and differences between those two 55-Inch 4K LED TVs. Let’s talk about similarities and difference of TCL 55R615 and 55S515 in this article. 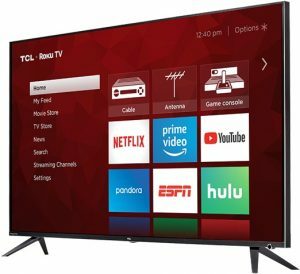 There are several similarities that we can find between TCL 55R615 and 55S515 as they are indeed two near models from TCL’s 2018 TV lineup. What are their similarities? Let’s take a look at their similarities together. Both of TCL 55R615 and 55S515 come with 4K UHD Resolution. They are both also completed with Upscaling technology. With upscaling technology integrated on those two TVs, we can enjoy brilliant picture quality not only from original 4K content sources but also from HD contents that upscaled into near 4K picture quality. We can find TCL’s NBP Photon Technology is installed on both of TCL 55R615 and TCL 55S515. TCL’s NBP Photon Technology is able to deliver Wide Color Gamut on this TV screen so that we can enjoy rich color details. We can also find IPQ Engine installed on this TV. IPQ Engine is able to deliver accurate color reproduction as well as precision color performance. With NBP Photon Technology and IPQ Engine, we can enjoy rich and accurate color details in both of TCL 55R615 and TCL 55S515 screen. Both of TCL 55R615 and 55S515 support HDR10 and Dolby Vision so that we can enjoy enhanced details with expanded contrast from those two HDR formats. We can also find HDR Pro Gamma installed on both of TCL 55R615 and 55S515. HDR Pro Gamma is the technology that allows us to enjoy the best HDR picture on any watching environment. The details remain visible both in darkest or brightest environment. We can find similar refresh rate technology installed on TCL 55R615 and TCL 55S515. They both come with 120Hz CMI as their refresh rate technology. 120Hz CMI is able to deliver fluid motion images for your favorite action movies and sports, while It also allows you to enjoy non lagging gaming experience when we use this TV as our gaming monitor. The smart TV platform of TCL 55R615 and 55S515 are similar. They both come with Roku TV as their Smart TV Platform. Roku TV is able to deliver wide range of premium entertainment to your home screen. 802.11ac dual band wireless is also attached to those two TVs to bring fast and stable connection to your favorite content providers. We can also find similar Roku TV RC280 remote control included with TCL 55R615 and 55S515. We can find similar speaker system installed on TCL 55R615 and 55S515. They both come with 2Ch 16W speaker system. 2Ch 16W speaker system is quite basic speaker system but it’s completed with Dolby Digital so that we can still enjoy good sound quality from those two TVs. If you are not satisfied with the sound delivered by 2Ch 16W speaker system, then you can easily attach your favorite soundbar to those two TVs to enjoy more powerful surround sound to meet your audio expectation. From our discussion about similarities of TCL 55R615 and 55S515, we can summarize the similarities of those two TVs using the table below. Besides similarities, there are also few differences between TCL 55R615 and 55S515. What are their differences? Let’s discuss that together. The key difference of TCL 55R615 and 55S515 come from the contrast control zones that we can find in TCL 55R615. We can find 96 Contrast Control Zones in TCL 55R615 that we can’t find in TCL 55S515. With 96 Contrast Control Zones in TCL 55R615, we can enjoy better contrast vibrancy on its screen. As the higher model, we can easily guess that TCL 55R615 is offered at the higher price than TCL 55S515. How about their price difference? 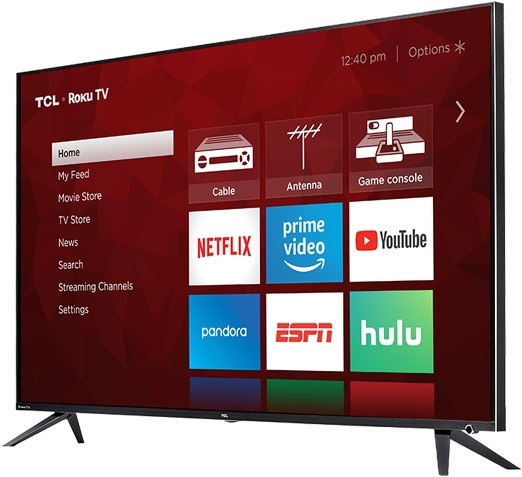 Since TV prices often change from time to time, it’s recommended that we check the price of TCL 55R615 and 55S515 to find their latest price difference. The table below can be created as the summary of the differences between TCL 55R615 and 55S515. Why TCL 55R615 is a Better Choice for You? TCL 55R615 and 55S515 are both 55-Inch 4K UHD TV introduced by TCL in 2018. We can find that TCL 55R615 is the model that positioned higher with additional 96 local dimming zones installed on its screen. Why TCL 55R615 is a better choice for you? If your budget is not that limited, then TCL 55R615 becomes a better choice since It can deliver better contrast on your TV screen with its 96 local dimming zones. TCL 55S515 is the more affordable choice that you should consider if you have more limited budget. Although It doesn’t come with 96 local dimming zones, but It indeed still can deliver enhanced details with expanded contrast from your favorite HDR10 and Dolby Vision content sources. We can also still enjoy rich and accurate color details on its screen with TCL’s NBP Photon Technology and IPQ Engine installed on its screen. So if you are in limited budget, then TCL 55S515 is still a good choice that you should consider.